A pair of major industrial developers are building near the southeastern contours of the valley with one vying for the smaller user while the other moves forward with a larger vision. Panattoni Development Co. will be breaking ground in mid-May on its 482,000-square-foot speculative industrial project in the Executive Airport area in Henderson this month, while Harsch Investment Properties is breaking ground on its 240,000-square-foot industrial building in the Henderson Commerce Center near U.S. 95 and Warm Spring Road. Harsch will be seeking multiple users with divisibility down to 16,124 square feet, with an average user coming in to just over 20,000 square feet. 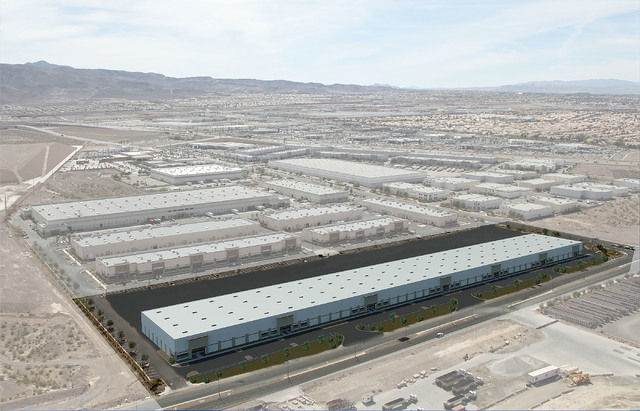 “That was sort of the one feather we’ve got in our cap compared to a lot of other properties that are around town,” said Greg Pancirov, vice president, industrial division, Colliers International’s Las Vegas office. Harsch’s project also has other options starting at 30,000, 40,000 and 50,000 square feet with a 30-foot clear height. The building is set to break ground near the end of May and be completed in the winter of 2016. On the flip side, Panattoni is also planning for the smaller user in future buildings in its Executive Airport district. Doug Roberts, a partner at Panattoni Development Co., said that some of the future buildings will have options down to 25,000 square feet. Panattoni’s larger building, scheduled to come online in December, will have divisibility down to 60,000 square feet and a 36-foot clear height, said Roberts. Industrial users in need of space should expect to see four other buildings come online by 2018. The size on those buildings will be 189,000 square feet, two 100,000 square foot buildings to accommodate the small users and a 325,000-square-foot building. Potential users of Panattoni’s project could range anywhere from an ecommerce company to a small manufacturer. Roberts said there was nothing to announce at this point. But future users could also find advantages other than size for companies thinking about moving into Executive Airport. 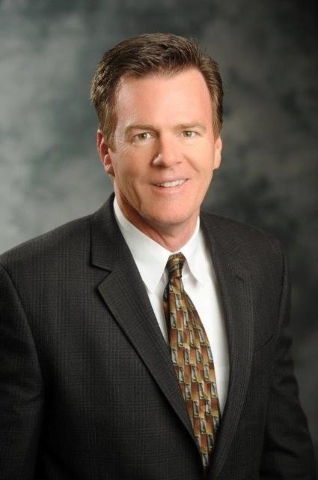 “The biggest advantage of being in the area is the close proximity to California. We’re on the far southern side of the valley,” said Roberts. Others agreed that the area has its advantages. Panattoni also has several projects going up around town including in Henderson Freeways Crossing, near the Harsch’s project, that will be completed mid-summer of 2016. Roberts said the choice of which area a user might choose depends on what type of business they are. The Henderson airport area might attract larger users looking to be closer to Southern California, while Henderson Freeways is closer to the heart of Henderson and offers smaller divisibility, he said. Roberts said Panattoni also holding 42 more acres of land in Henderson for future development at the Executive Airport site. Panattoni will start developing another building there when the first one is 50 percent leased. Panattoni isn’t seeking more land at this time in the valley, Roberts added. Land, however, is an item Harsch is seeking. Pancirov said the building is going to fill up the Henderson Commerce Center, though Harsch also has another 13-acre parcel near the site. Harsch has no definite plans for that site yet. But that’s easier said than done in this market. “Everything always has a price, and with the vacancies going down, the values have gone up, and there’s not a lot of good pieces of land to develop on,” said Pancirov.